Nice shot, and interesting commentary. I will note 30 April as the date to vote the Netherlands (actually my place of birth). Impressive photoblog you have. You\'re in my RSS from now. 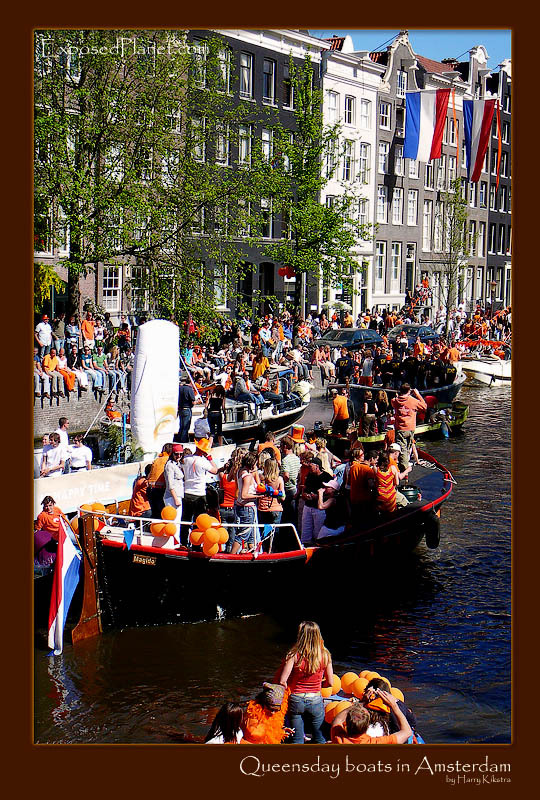 The story behind "Orange boats in the Amsterdam canals at Queensday"
The people of the Netherlands are normally quite introvert, which is illustrated by the local saying: ‘act normally, then you will act already crazy enough’, but one day each year, everybody goes crazy: Queensday, the 30th of April. If you have only one day to spare in the Netherlands, make it 30th April. See you next year!